In association with his acceptance of the Online Game Legend award, Dr. Bartle will also be presenting a special talk on his work at GDC Online. The lecture, titled The History of The Multi-User Dungeon, will see him sharing his unique perspective and hands-on experience with the next generation of online game developers. In honor of the game's induction, the Hall of Fame award will be accepted on stage by key members of Ultima Online's original development team: Rich Vogel, Launch Producer, Starr Long, Associate Producer, and Raph Koster, Lead Designer. Joining them will be Eugene Evans, GM of BioWare Mythic, the current home of Ultima Online within Electronic Arts, who will introduce key team members from the game's development history. In celebration GDC Online will present a special lecture, 'Then and Now: Ultima Online Over Time'. The lecture will be co-presented by Rich Vogel, currently at BioWare Austin and the original producer of Ultima Online, and Calvin Crowner, the current Ultima Online game producer. The duo will talk about the history of the title, contrast their work on the game throughout its history, and provide anecdotes and specific takeaway from many years of work. Both of the above awards will be presented at the Game Developers Choice Online Awards ceremony taking place on the evening of Thursday, October 7th during GDC Online (formerly GDC Austin) in Austin, Texas. Additional finalists will be announced in the near future. 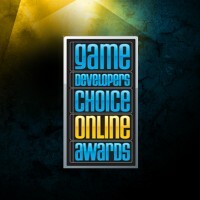 More information about the Game Developers Choice Online Awards is available at the official website for the awards. GDC Online as a whole takes place in Austin, Texas from October 5-8, 2010, and information about sessions and registration is available at its official website.